For those who like to learn more about Newfoundland, a great variety of books (novels as well as non-fiction) is available. 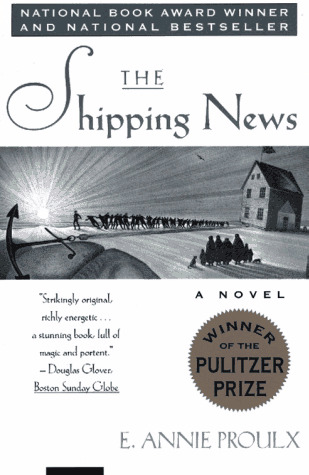 The book you must have read, is "The Shipping News" by E. Annie Proulx. For me, reading this book was the principal reason to visit Newfoundland, and therefore this brilliantly written novel is without any doubt on top of my list of recommended reading. Besides, the books by Wayne Johnston are highly recommendable. 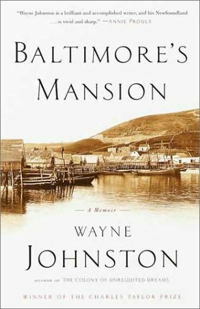 Baltimore's Mansion introduces us to the Johnstons of Ferryland, a Catholic colony founded by Lord Baltimore in the 1620s on the Avalon Peninsula of Newfoundland, and centres on three generations of fathers and sons. Filled with heart-stopping description and a cast of stubborn, acerbic, yet utterly irresistible family members, it is an evocation of a time and a place reminiscent of Wayne Johnston's best fiction. 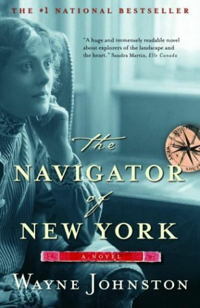 The Navigator of New York is set against the background of the tumultuous rivalry between Lieutenant Peary and Dr. Cook to get to the North Pole at the beginning of the 20th century. It is also the story of a young man's quest for his origins, from St. John's, Newfoundland, to the bustling streets of New York, and the remotest regions of the Arctic. Devlin Stead's father, an Arctic explorer, stops returning home at the end of his voyages and announces he is moving to New York, as "New York is to explorers what Paris is to artists"; eventually he is declared missing from an expedition. His mother meets an untimely death by drowning shortly after. Young Devlin, who barely remembers either of them, lives contently in the care of his affectionate aunt and indifferent uncle, until taunts from a bullying fellow schoolboy reveal dark truths underlying the bare facts he knows about his family. A rhyme circulated around St. John's further isolates Devlin, always seen as an odd child who had inherited his parents' madness and would likely meet a similar fate. Devlin, who has always learned about his father through newspaper reports, now finds other people's accounts of his parents are continually altering his view of his parents. Then strange secret letters start to arrive, exciting his imagination with the unanticipated notion that his life might contain the possibility of adventure. Nothing is what it once seemed. Suddenly a chance to take his own place in the world is offered, giving him courage and a newfound zest for discovery. "It was life as I would live it unless I went exploring that I dreaded." Caught up in the mystery of who his parents really were, and anxious to leave behind the image of 'the Stead boy', at the age of twenty Devlin sails, carrying only a doctor's bag, to a New York that is bursting with frenzied energy and about to become the capital city of the globe; where every day inventors file for new patents and three thousand new strangers enter the city, a city that already looks ancient although taller buildings are constructed constantly. There he will become protégé to Dr. Cook, who is restlessly preparing for his next expedition, be introduced into the society that makes such ventures possible, and eventually accompany Cook on his epic race to reach the Pole before the arch-rival Peary. This trip will plunge Devlin into worldwide controversy -- and decide his fate. 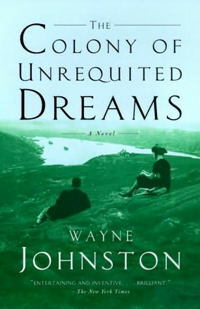 In his new novel, Wayne Johnston resumes a story he began in The Colony of Unrequited Dreams and gives us a riveting narrative with Sheilagh Fielding, one of the most memorable and beloved characters in all of Canadian fiction, at its centre. It is the waning days of World War II and St. John's is a city of wounded or absent men. 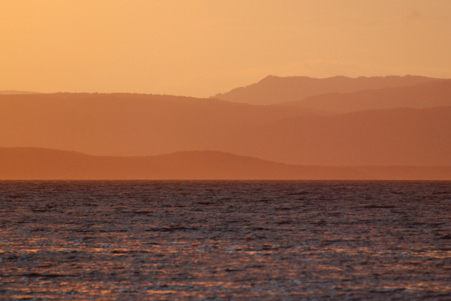 At the beginning of the novel, Fielding - as she is almost universally known - is headed for Loreburn, a deserted island off the south coast of Newfoundland. She brings two enormous trunks full of provisions that will make possible an extended stay. 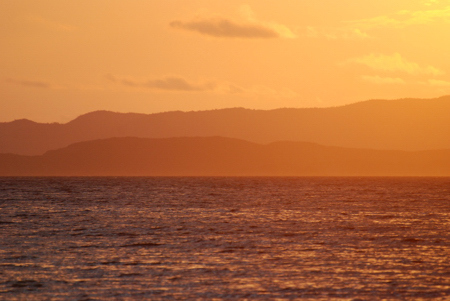 Gradually, we begin to learn what has brought her, a lame woman with a broken heart, to a wild island populated by horses, dogs and, perhaps, one other person she has never seen. He is the one who has been shadowing her since she made a mysterious pilgrimage to her mother's house in New York City more than two decades earlier. 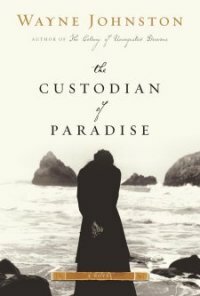 Fielding's mother had deserted her husband and only child when Fielding was just six years old, and, unable to figure out why a woman would abandon her child, her father was left tormented by the question of Fielding's paternity. She is six-foot-three and nothing at all like him. Is she indeed his child? When, as a teenager and already a renowned wit and eccentric, Fielding falls briefly and terribly in love, she is left, ultimately, more alone than ever. Now, more than two decades later, she is in mourning and hounded by regret. She has no idea how to continue living when she arrives in Loreburn with her trunks and their peculiar contents. Sunrise at Blow Me Down Provincial Park, September 2008.